I am delighted to be part of this event marking the 70th anniversary of Afghanistan membership to the United Nations. On November 19, 1946, Afghanistan joined the United Nations becoming the 52th founding member of the United Nations. 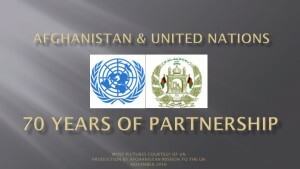 Since then Afghanistan mostly demonstrated its commitment to the UN Charter in “maintaining international peace and security” for the mankind, thus “reaffirming faith in fundamental human rights, in the dignity and worth of the human person, in the equal rights of men and women and of nations large and small”. In the last seven decades into the UN, Afghanistan has gone through a journey of peace, stability and some degree of development in the 1950s to the 1970s; followed by an era of political instability and conflict, including times of discrimination and oppression of the people, in particular girls and women during the Taliban rule in the late 90s. Since end of 2001, the country and the nation, has experienced remarkable achievements guided by the Constitution that envisions a democratic governance in a society in which women and men have equal rights and duties. Progressive realization of human rights principles, sustained commitment on human rights, freedom of media, a growing civil society, as well as improvement in social services such as access to health care and education, and women’s participation in political, social and economic domain are among the major achievements that Afghanistan has made. We are building our national security forces while combating terror and violent extremism. We thank the international community, United Nations, NATO, European Union and all our partner countries for their continued support and engagement. As it was mentioned by Ambassador Saikal Afghanistan, for the first time, is a candidate for the membership of the Human Rights Council for the year 2018 to 2020. We believe that we are a strong candidate because we are relevant and committed, and able to represent the multidimensional realities from the heart of Asia. Afghanistan has been a party to seven human rights instruments and ratified three optional protocols. Our government considers constructive dialogue as a valuables tool to exchange views and build consensus. 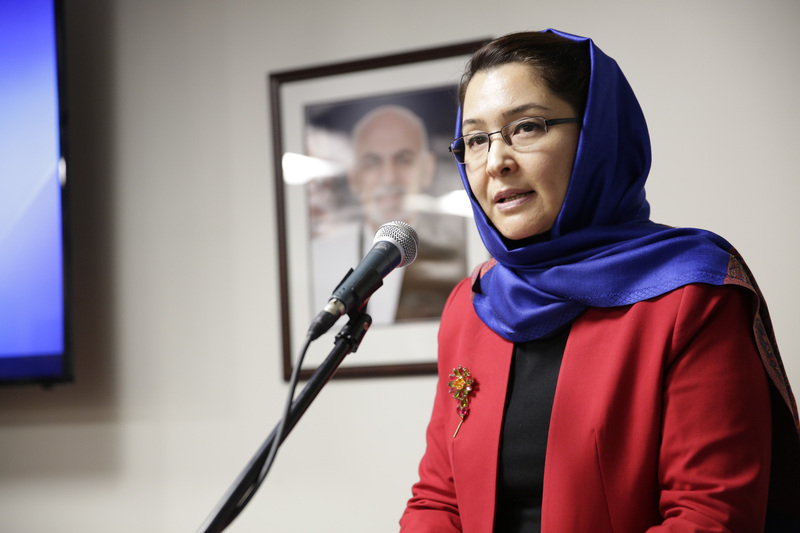 As a member of the Human Right Council, Afghanistan will have the opportunity to share with other Member States its experiences, challenges, and approaches in finding solutions to issues of humanitarian nature especially in conflict affected places. 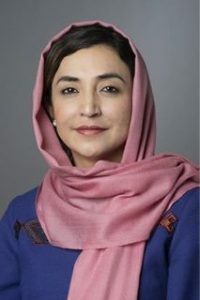 We acknowledge that peace, security, development and human rights are interconnected in nature and mutually reinforcing; Afghanistan stands ready to assume its first mandate in the Human Rights Council, committed on promoting and protecting human rights and fundamental freedom for all through an effective international cooperation. Your vote to Afghanistan’s candidacy to the Human Rights Council is a vote of support to sacrifices the nation is making every day in its combat against terror, it is a vote to a country that is committed and determined for a better future, and is a vote for universality of human rights principles. My colleagues and I look forward contactıng you ın the next weeks and months here in New York, ın Geneva as well as ın your capıtals to ensure your full support and answer any questıon that you mıght have.